Since before E was born, I imagined that he’d be an outdoorsy type; someone who felt at home in nature, sleeping under the stars, exploring in the woods, scanning for wildlife. Our travel together would be to national parks. I can’t remember if this took hold before or after I was pregnant, but it’s been my dream for him. 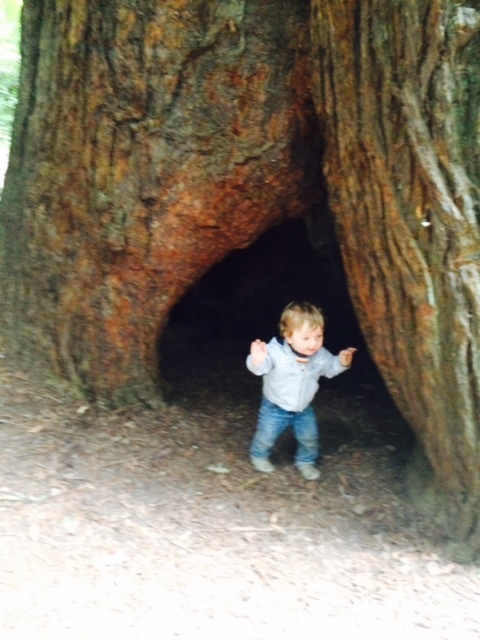 What tiny person wouldn’t be thrilled to explore the great outdoors? 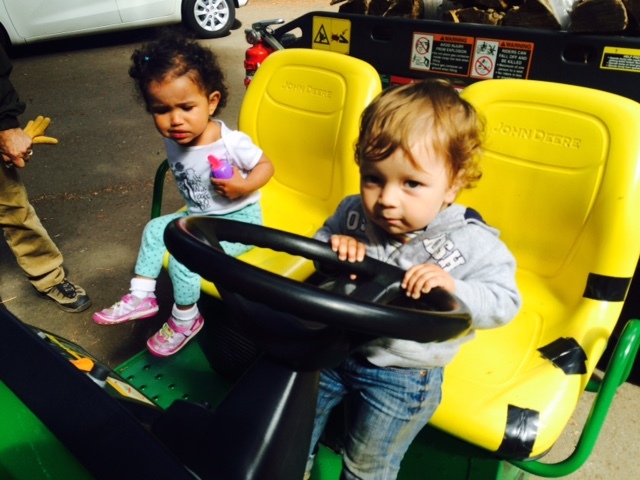 I also imagined that I’d be camping with a baby sooner than I did. 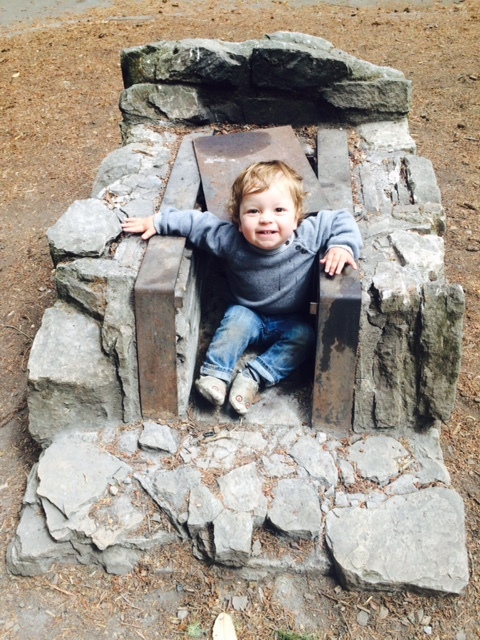 It sounded easy and fun since babies don’t move and sleep wherever you put them. When it came down to it, though, it didn’t feel right to take a tiny baby out into the elements, and a trip never materialized. I finally got it together to plan something for 4th of July weekend, with my friend J and her daughter S. We went to Samuel P. Taylor State Park, a gorgeous place less than an hour from the city with giant redwoods, a calm, meandering river, and steep hikes that take you up to expansive views of Marin County and Tomales Bay. I’ve been there many times on major day-long hikes as well as my 39th birthday. Since it was my first time going with E, plus since J isn’t an experienced camper, I took it upon myself to plan carefully. I started a google doc days beforehand. We planned meals over text. On the day of, I packed the car to the gills with camping gear, a cooler of ready-to-eat food, and several bags of stuff. Upon arrival, E wandered around the campsite, thrilled to explore and instantly covered in dusty dirt. It was nearly impossible to set up a tent or really do anything productive given that he was constantly toddling off and I had to redirect him away from potential poison oak, the river, and/or the few cars that drove by. J showed up and it was equally hard with two babies and two adults although at least we could take turns watching the little ones while the other accomplished something. She got so frustrated with her borrowed tent that she asked the couple across the street to help her, which they did, while I kept the kids occupied with bubbles. Well, the black bean burgers would have been better with mustard, which I forgot. Then I realized we didn’t have a corkscrew for the wine, which we were able to borrow from neighbors. THEN I realized that I hadn’t packed the gas to fuel the camping stove, so breakfast of oatmeal and coffee was an impossibility. Finally, once I was getting ready for bed, it dawned on me: I hadn’t packed anything for myself. I’m actually not exaggerating. I packed comprehensively for E–many, many layers of clothing and extra clothing to account for possible spills or extra cold or wet weather. Toys and books. Diapers and wipes. Etc. I had focused a lot on the food and all the necessary tools for eating. For myself, I packed a bathing suit (which I didn’t need). I did not pack extra clothes of any kind. I didn’t pack contacts or bring my glasses. I didn’t pack a toothbrush or face wash or even think about a cosmetic bag. I pretty much had the clothes on my back, and that was it. I simply forgot. It was nothing tragic and did not ruin the trip. But I have to say–hugely eye-opening. At what other time in my life would I forget to pack anything (at all) for me?? It would be impossible. Such a shocking reminder of how mom’s needs go last and sometimes are utterly and completely overlooked! Thankfully, it was just a reminder and I was not terribly uncomfortable except for the sleeping. I figured E would just share my sleeping bag and Thermarest but he’s gotten big and can sprawl out in his sleep. I lost a lot of Zs making sure he was always on the Thermarest with some sleeping bag over him while I made do with whatever was left (not much). Good thing it wasn’t cold. 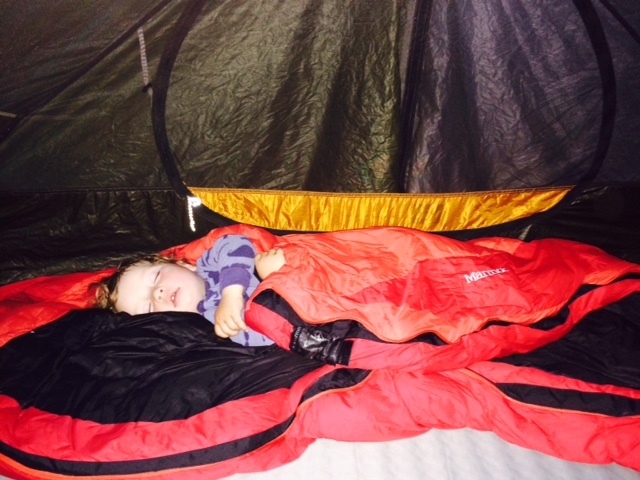 The kid needs his own sleeping set-up–a second Thermarest and a second sleeping bag. Or whatever you get for someone who’s 25 pounds. We will hook this up for Round 2! We did some hiking, met some kids, checked out the river and some dogs and birds. Now he’s saying “tee” (tree) and “bow” (pronounced like the kind you take after a performance = ball).